After discovering yoga in her early 20’s, Adriana practiced for 11 years before deciding to make yoga her life and career. A graduate of the British Wheel of Yoga’s 500-hour Teaching Diploma and further courses including a post-natal teacher training course, she mainly teaches Vinyasa Flow and Hatha Yoga. 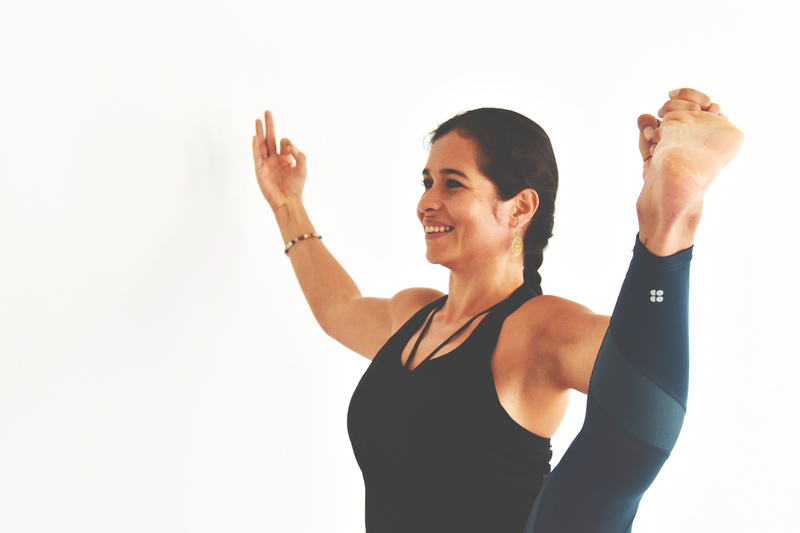 Adriana’s sequences are creative, and she offers a strong but balanced practice covering meditation, breath, flow, balancing postures, stretches and relaxation. She is passionate about the subtler aspects of yoga and its philosophy, and emphasises breath as the main axis of the practice.